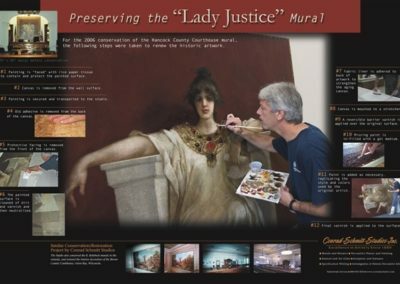 Conrad Schmitt Studios conserved the “Lady Justice” mural at the Hancock County Courthouse in Findlay, Ohio. The mural was brought to the Studio where the conservation took place. 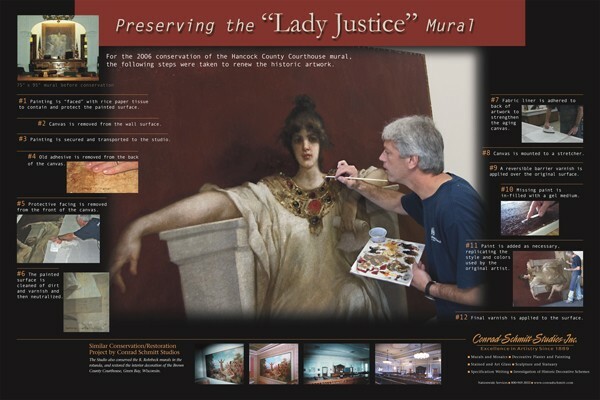 An informative poster was created to show the process that was used for the conservation of the historic artwork. 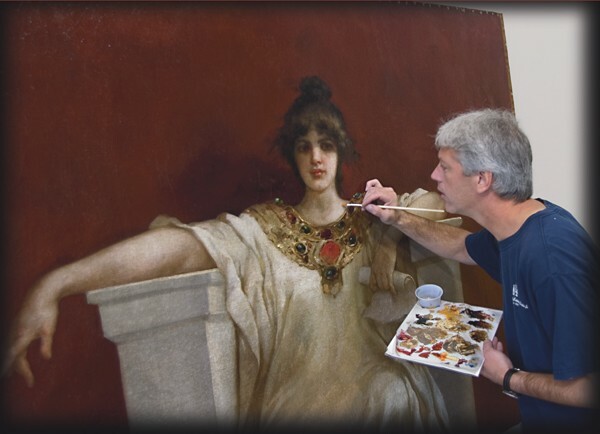 The poster highlights the steps taken for the removal and transportation, to the cleaning of dirt and the removal of varnish, to the stabalization of the aging canvas material and the in-fill painting used to replicate the style and colors created by the original artist. The mural was then reinstalled back in the courthouse to be enjoyed for generations to come.